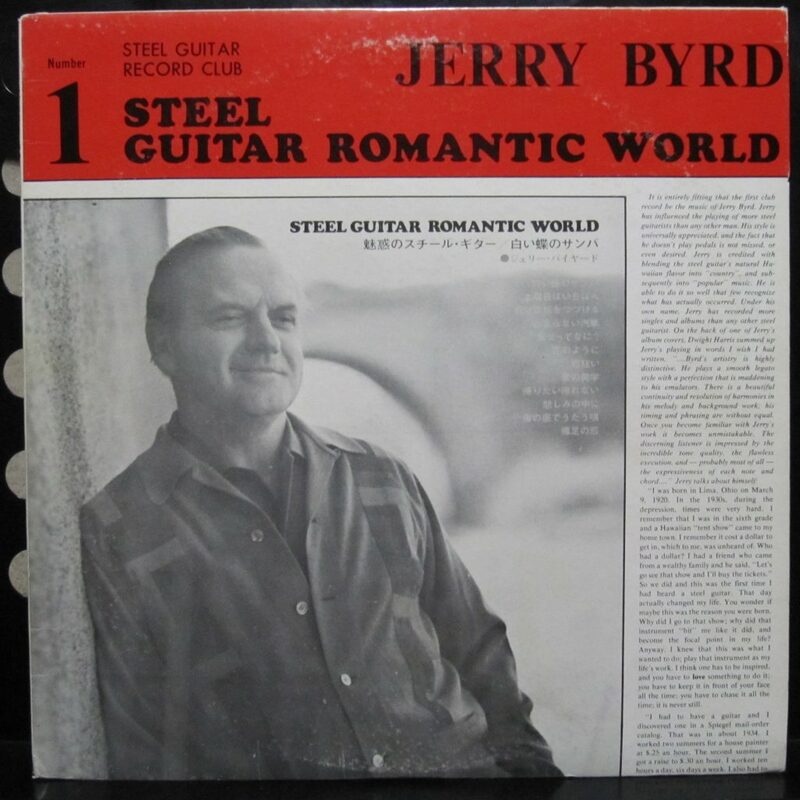 Jerry Byrd’s “Steel Guitar Romantic World” LP ends with beautiful song entitled “Love of Bare Feet”. The album is a collection of Japanese pop songs. I suspect something was lost in translation of the title. A Google search turns up nothing. Jerry played this song on a 7-string Rickenbacker steel tuned C diatonic: E F G A B C E. No pedals. I’d like to hear the original Japanese version of this song. If you know anything about it, please leave a comment. Wow, just wow. Such mastery.